8788 is a solvent-based two-component polyurethane adhesive for the production of high performance composite membranes, in a variety of film / film, film / foil composite process exhibit excellent adhesive properties. Recommended for film / film, composite film / foil structures for structural and puncture resistance with aluminum foil packaging, flexible packaging products suitable for boiling and steaming (135 ℃ under 30 minutes). 1. Operating Time: Preparation of a good adhesive and after storing in airtight containers within 8 hours after the performance tests, and then it can be used. The unused adhesive on laminating machine, lifetime more than two hours, if more than two hours, it should be discarded, otherwise it could lead to instability in the composite film. Tropical regions (temperature> 28 ° C + relative humidity> 60%) of operating time: To ensure the quality of the mixed adhesive should be used within 2 hours. 2. 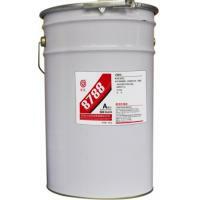 Coating: 8788 applies to all dry adhesive composite device that has a light roll or concave rollers. Trial is recommended before mass production, in order to determine the appropriate network cable roll. 3. Lamination adjustment: An appropriate increase in temperature of the composite and the composite effect of a linear pressure can improve the adhesion of the composite article and the surface finish. 4. Maturing: Film / film, film / foil in general, boiled, cooked products after aging at 40 ℃ -50 ℃ chamber for 1-7 days can be fully cured, silted and bagged. 5. 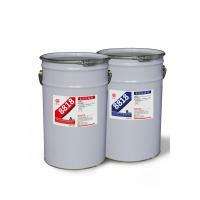 Film Performance: 8788 fully cured polyurethane film transparent, odorless, flexible and anti-aging properties. 6. 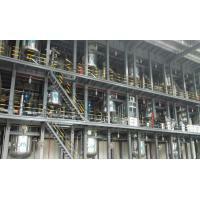 Storage: 8788 two-component solvent-based polyurethane adhesive recommended refrigerated inventory, avoid sun exposure, high temperature environment preservation. 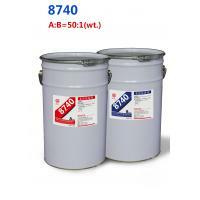 8788 adhesive should be stored in unopened original sealed containers at temperatures between -30 ℃ to +30 ℃, can store nine months. Once you open the storage container, cover should be re-sealed; the rest of the product should be used up in a short time. 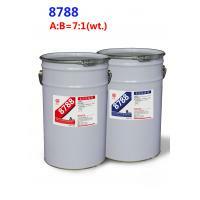 8788 A component 25KG / barrel, 8788B component 3.57KG / can. 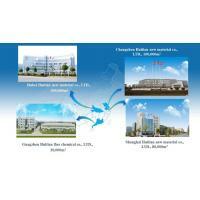 Established in 1977, Huitian is now one of the biggest adhesive manufacturers in China. There are four manufacturing bases in total, providing high performance adhesives for different industries. Huitian has two fully automatic productions lines and the capacity is 24,000MT/Year just for flexibile packaging adhesives. 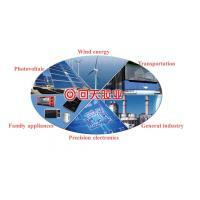 Besides construction adhesives, Huitian also provides many others kinds of products for different industries, transportation, electronics, photovaltaic, etc. 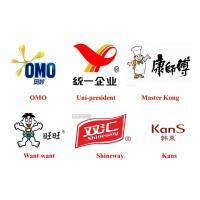 Huitian is your reliable partner and satisfy your need of adhesives!